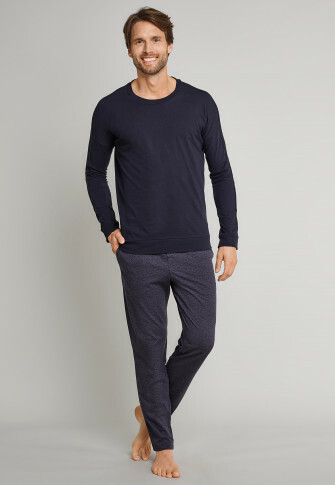 These men's long pants are just the thing for relaxing days and nights! 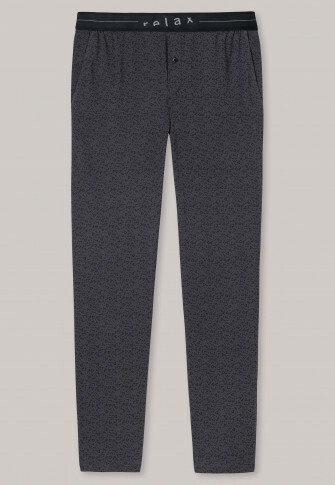 Soft single jersey made of 100% cotton makes these pants particularly comfortable and they look fashionable in their slim cut and graphic allover print. The dark gray woven elastic waistband with "relax" lettering completes the sporty look perfectly, as does the decorative button placket. A relaxation wild card in the best SCHIESSER quality - also available in special sizes!